No actual treatment will be provided at these screenings. 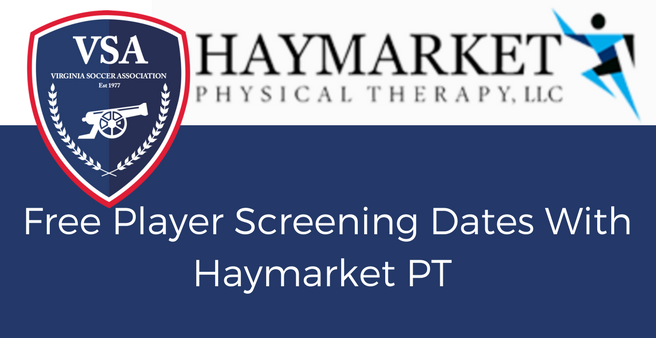 These screenings are simply in place to open a dialogue among our athletes, parents and Haymarket Physical Therapy so that all involved can determine a plan to further treat existing injuries. If you are injured and would like to receive treatment advice from Dr. Woelkers and his staff, please be sure to take advantage of these times listed above!